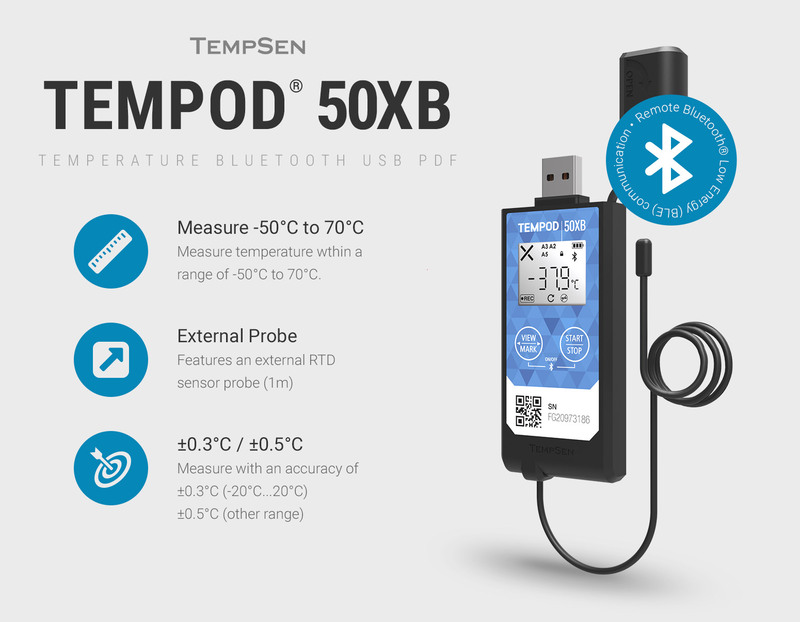 The Tempod 200XB is a wireless ultra low temperature data logger for -200°C ~ +70°C including external 1m RTDC sensor. 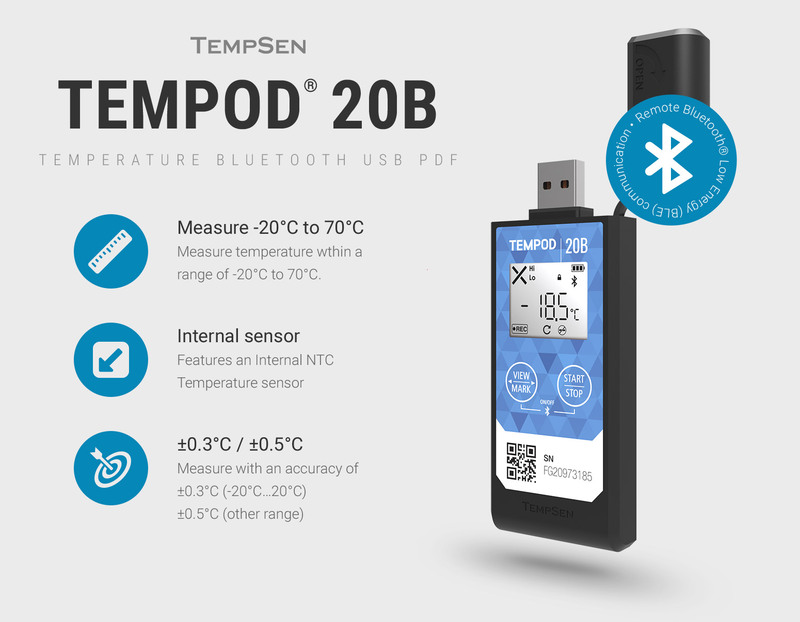 Features Bluetooth for wireless use, a USB connection and PDF reporting - supplied with a certificate. 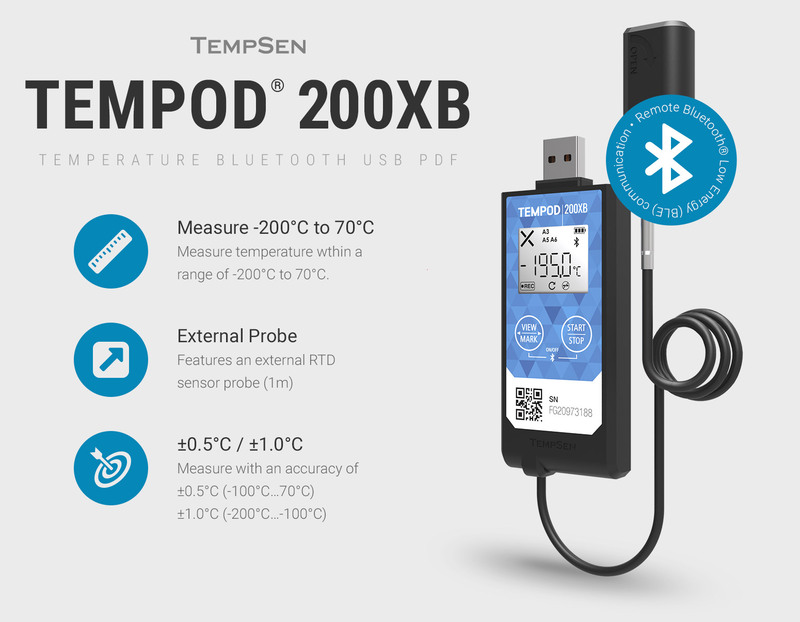 The Tempod 200XB is a wireless ultra low temperature data logger for -200°C ~ +70°C including external 1m RTDC sensor.  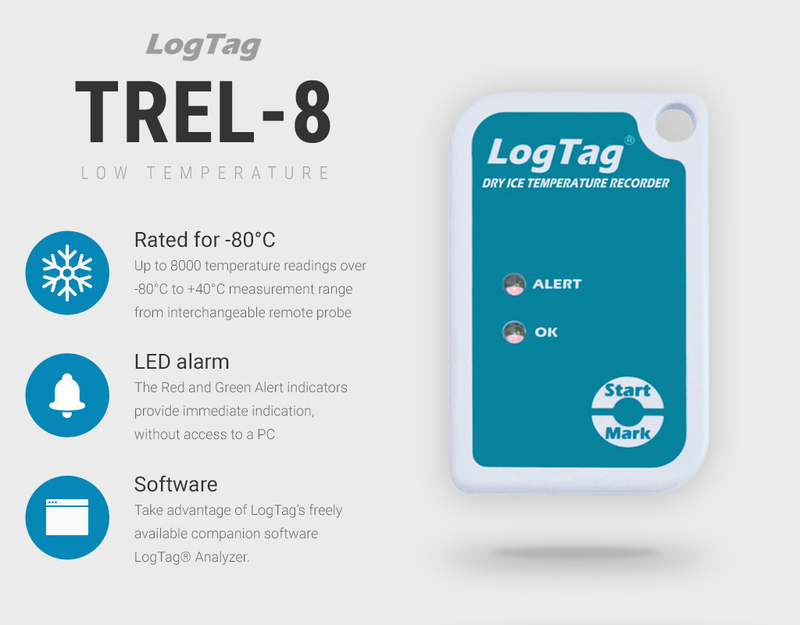 Features Bluetooth for wireless use, a USB connection and PDF reporting – supplied with a certificate. 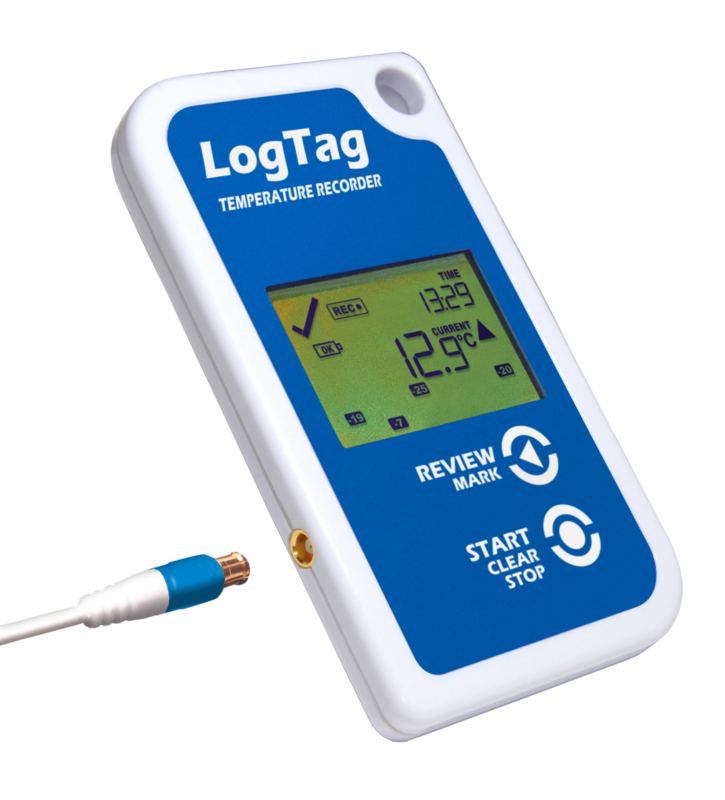 The Tred30-16 R LogTag data logger with temperature probe & thermal dampener is ideal for vaccine storage temperature monitoring. 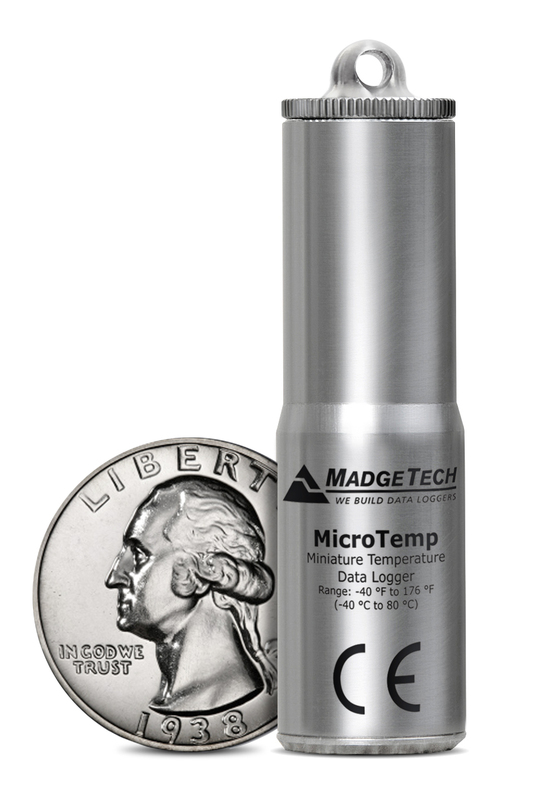 A gold-plated connector enables a remote temperature probe and thermal dampener attachment. 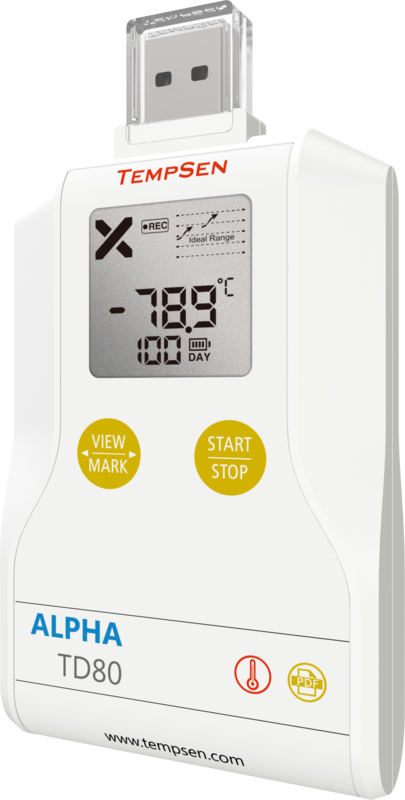 It stores up to 15,900 temperature readings over a -40°C to +99°C measurement range and features an LCD display, 30-day summary and user replaceable battery. 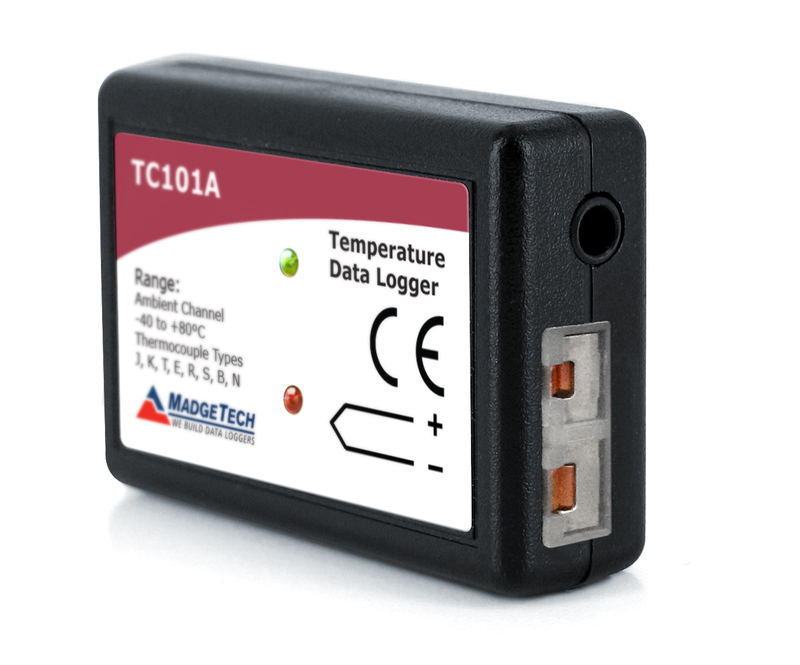 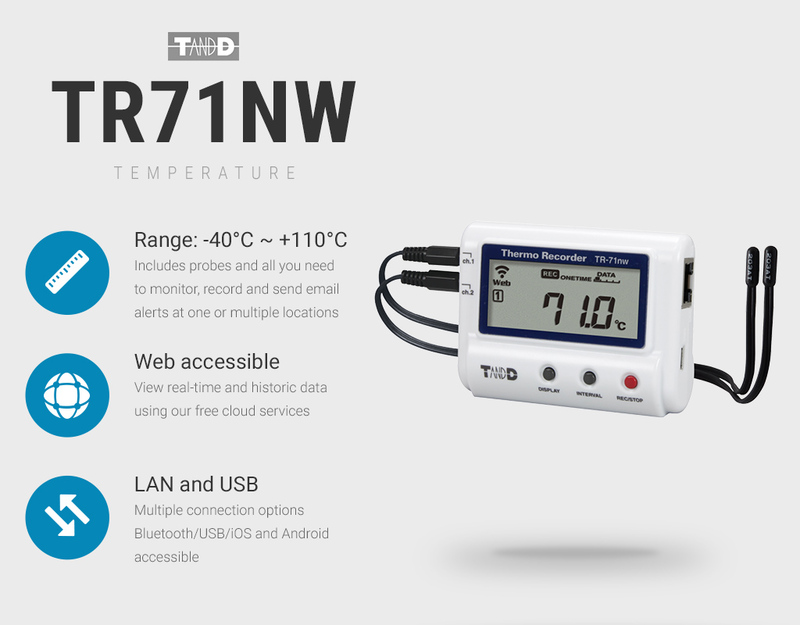 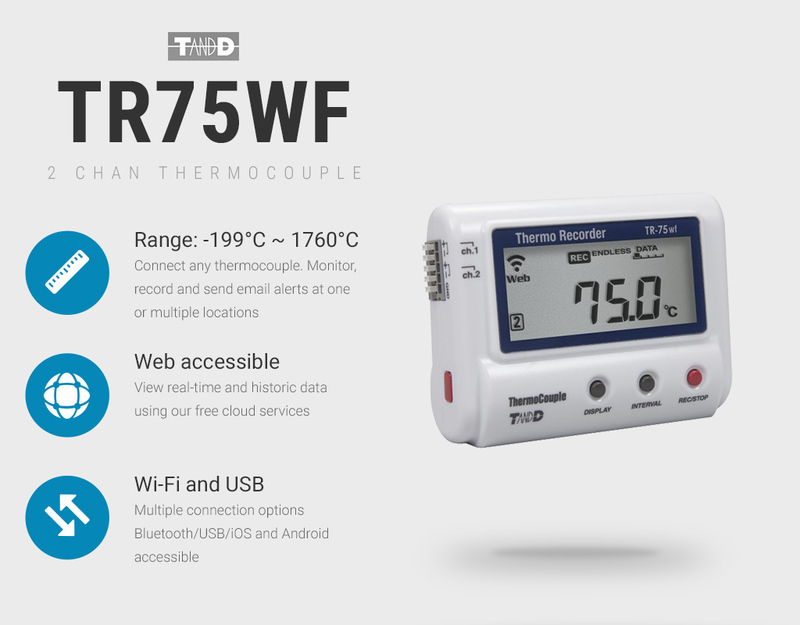 The TR-75WF by T&D data loggers allows users to access data via Cloud or PC using a Wi-Fi or USB connection. 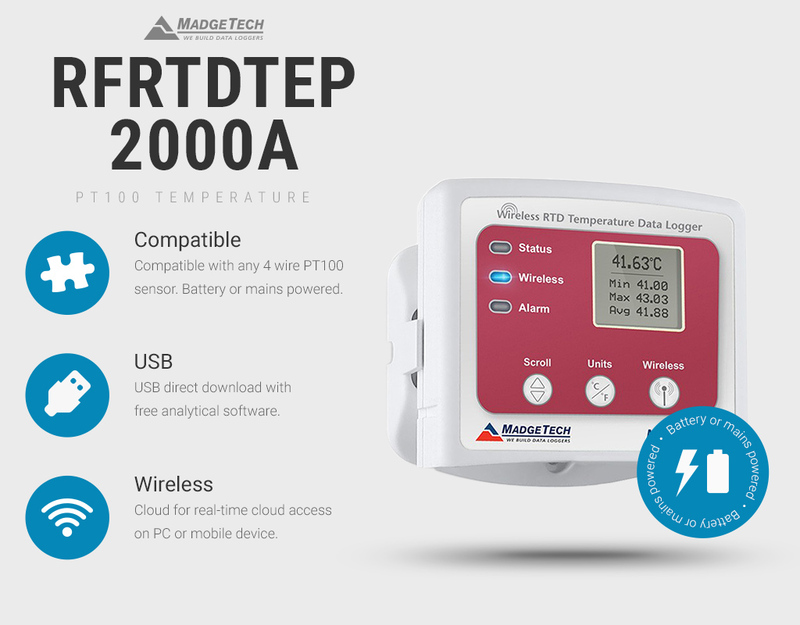 The Tempod 200X is an ultra low temperature data logger for -200°C ~ +70°C including external RTD probe, USB connection and PDF reporting - supplied with a certificate. 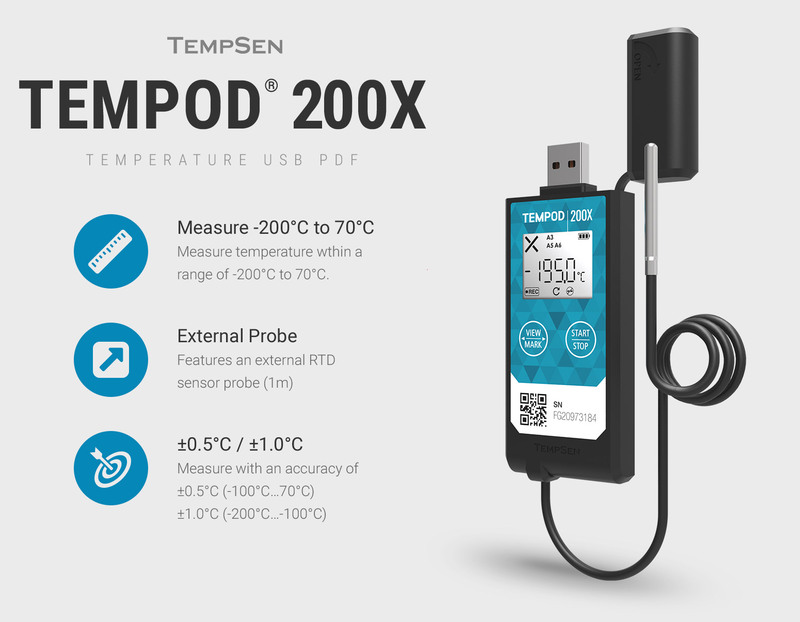 The Tempod 200X is an ultra low temperature data logger for -200°C ~ +70°C including external RTD probe, USB connection and PDF reporting – supplied with a certificate.